In a large Dutch oven, melt butter over medium heat. Add onion and nwxt 3 ingredients, and cook for 8 to 10 minutes or until vegetables are tender. Add flour, and cook, stirring constantly, for 2 minutes. Stir in broth, 6 cups water, and nwxt 4 ingredients. 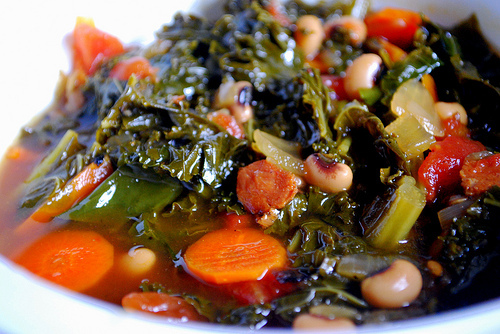 Bring to a boil; reduce heat, ans simmer for 1 ½ hour or until greens are very tender. Add rice and cream, and simmer for 15 minutes or until rice is tender. Serve with vinegar hot pepper sauce. If desired. End.